Our first article is brought to us by one Benjamin Chandler, whom the contributors section at the back of the book informs is a creative writing PhD from Flinders University, Australia. Normally I try to dig up more information on these guys online, but with a lead that cold I’m not even gonna try. In any case, he falls firmly into the category of “not actually a professional philosopher,” so in context of this post, he basically exists solely to produce this one essay for Final Fantasy and Philosophy. The characters in FFVII possess two different types of signifiers. The first type is built into the characters by the game developers, so we might call them presets ; they are the fixed aspects of the characters: hair color, speech, age, and so on. Cloud Strife is a spiky-haired badass, Aeris is an ill-fated Cetra, and so on. So we can add Benjamin Chandler to the list of people who don’t get the point of Final Fantasy VII. Cloud Strife isn’t a badass, he’s a mook cosplaying a badass. Door Monster released a sketch this week which is about not having time to do a real sketch. This is convenient, because it gives me something semi-relevant to link to after staring at a blank word processor for over an hour and failing to come up with any ideas. I’ve released dumber things while struggling to maintain a daily schedule in the past, like that other time I linked to a Door Monster sketch that was vaguely relevant to my current mood. I was going to wait until I had ten of these to make another directory post, but by the end of number seven it really felt like I had run out of things to say, and I’ve decided I should probably look into other genres and maybe even entirely different media for a while before I come back to it. Since that means it could be a very long time before I make another LitRPG review, I’m going to make a for-now complete directory. I don’t have a whole lot to say since the last one, but I will mention that Sew You Want To Be A Hero is neck and neck with Stuff and Nonsense and pulls ahead mainly because, though the major flaw is completely unresolved, it does at least not have the issue of aimlessness that the original had, and that the Kartoss Gambit suffered from a lot from Danny getting exclusive access to several very special and unique quests. He isn’t your usual LitRPG protagonist who’s ultra-amazing just by having basic gamer instincts because he does make honest to God mistakes in his quest and nobody fawns over him for how great he is until after he’s put in a lot of effort to get there (and even then, their motivations for doing so are pretty cynical rather than pure starry-eyed amazement). It’s still a few baby steps closer to that direction than Survival Quest was, though. Plus, there was that one really boring woodwothe quest. I’m probably going to continue reviewing books of some sort, but I’m not sure if I’ll continue adding to this same ranking. Comparing the latest Brandon Sandersen or whatever to this niche genre might end up being too apples to oranges for a ranked list to make sense even as the subjective evaluation of a specific guy. Guess we’ll see when we get there. I didn’t end up even doing my full suite of audio fanciness to this one, let alone try to improve the video, since I wound up spending most of the week focusing on the Petals and Thorns sequel. Good news is, that’s on schedule! I’ll focus more on video improvement to the next episode, since that one’s about dungeon design and actually lends itself to an obvious visual depiction that I can make just by screen recording Roll20 rather than hiring an animator. The Kartoss Gambit is a step down from Survival Quest. Now, Survival Quest was pretty good, so for Kartoss Gambit to be a step down doesn’t make it bad, but it is sinking down into the realm of “eh, pretty good, I guess.” If trends in this book continue, I could see later books in the series ending up downright dull. The Kartoss Gambit has only one truly boring segment, but that segment is the kind of thing I could see taking over the narrative, because similar trends show up in other scenes, just less overbearingly. I’m referring to the quest in which Danny goes into a forest to find some treasure, has a bunch of random encounters none of which are especially interesting, and ultimately finds out that he’s basically been pranked because the treasure is just a unique dress, although he does later find a use for it. It’s an episodic side quest, which is fine, except that the episode doesn’t work at all as a standalone story. Its final encounter is particularly egregious, because Danny is able to solve it just by summoning his totem, for no other reason except that the game gave him a rare totem. Elements of the same problem crop up in bits and pieces throughout the rest of the story. None of the other parts are ever dreadfully dull, but there’s times when Danny gets something just because the game gives it to him. Multiple quests are given to him over every other player in the game, and they lead to cataclysmic consequences for the entire Eurasian server (it’s never actually specified which server Danny’s on, actually, so maybe it’s actually the American server or the Oceania server or whatever, but whichever one it is, it’s a fifth of the game’s playerbase). Danny is instrumental to the collapse of the current regime in both the major factions of the continent pretty much just because the tiny little village he was paroled to turned out to be the focal point of a unique and game-altering quest chain. The first book focused on the local story of a couple of prison miners trying to win their way to a parole in the game world. The second book could’ve focused on Danny trying to set himself up for success in the game world while nailed to a small and backwoods region, low on valuable resources, home to only a handful of quests, most of them non-repeatable, and not really designed for players outside the level 10-20 range, making it difficult for him to level once he gets past that. The primary antagonists could’ve been that pack of PKers trying to get his rare dungeon drop from him, not as pawns of a sinister nation-spanning conspiracy, but just as selfish actors with a huge level advantage. The quest chain Danny stumbled across could’ve just been added as part of a general quest expansion update adding new quests to underserved areas, so no one’s really talking about it in the forums both because it’s brand new and because it’s one of dozens of new quests added, and the manual just serves to explain that yes, the quest exists at all, here’s where it starts and here’s a blurb vaguely hinting at what it’s about. Give the chain a prize that, for whatever reason, Danny really needs to get ahead, and the book can be about Danny trying to get to the end of the quest chain while dodging the PKers. Let Danny eventually escalate to continent-spanning stakes in later books, sure, but for now, just finding some way to successfully defeat a trio of PKers at mid- to end-game level while he’s still level 20-ish would be more than enough to make him seem like an exceptional up-and-coming fellow. That specific idea is just an example of the kind of thing that could’ve happened instead of this sudden escalation to game-spanning stakes. What’s important is that it would’ve expanded the reach of Danny’s influence and capability at a more steady and believable pace (there are ways to do a sudden escalation of influence believably, but the Kartoss Gambit is not how you do it) while still providing a clear goal and clear stakes. The Kartoss Gambit is still entertaining scene to scene (except for that one forest quest). It was fun to watch Danny hunt down the mist demon and he made several honest to God mistakes along the way, which helped make him seem a lot less Mary Sue after all the unique quests that got dumped in his lap. I have mixed feelings about how the ending zig-zagged a lot of my initial predictions, because setting up what seems like an obvious plot (the headman’s estranged son is clearly the evil werewolf menacing the town, right?) to then have it swerve off the usual plot line in a way that doesn’t actually make a difference at all (okay, so the estranged son is actually the good guy and the headman is the bad guy, but by the time we learn this the story is almost over anyway and the climax would’ve played out identically if the estranged son had been the villain all along, so who cares? ), but at least it indicates awareness on the part of the author that this isn’t the first time his audience has heard a story. It’s kind of weird that this summary is coming out so negative, because the fact is that while reading the Kartoss Gambit I generally wanted to continue reading it. During the hiatus over the holidays, I actually had to force myself not to finish the book early because I didn’t have time to blog the book as I went and I didn’t want to lose that “reaction as it’s read” element, but the book was good enough that I wanted to finish it up. I think this phenomenon validates the blog-as-I-go approach, too, because if you go back and read most of the parts, you’ll find a lot of them generally have positive things to say about moments as they happen, but after I put it down, nothing really stuck to my memory (contrast Survival Quest: Danny’s revenge on Batman and his whole ring crafting hustle were lots of fun to watch). How much it matters that the book left such a meh impression afterwards despite holding my interest as I read is left as an exercise to the reader. After the cliffhanger ending of last time, the identity of Kartoss’ dark master (not, like, the master of all Kartoss, just one of the four who advise the dark emperor) is now revealed to be…the village headman. I kind of wonder if Danny’s “now it all makes sense!” line was sarcastic? Because while this doesn’t contradict anything that came before, it does kind of come out of nowhere. The headman explains that he and his two sons were secretly evil and made no actual effort to actually track down the sklic demon, so Tisha was basically hunting for it on her own (since her werebear fiance apparently couldn’t be bothered to help), which, sure, that makes sense, but as last-minute reveals go it kind of feels like shock for shock’s sake. The dark master has surrounded Krong in a disruptor dome of some sort, so if heralds attempt to teleport in they will arrive at a random location in the province. They instead teleport to the edge of the province and begin amassing a huge army of both NPCs and players to invade the province and scour it for the dark master’s location, by which point it will already be too late to thwart the dark master’s nefarious scheme to transform everyone in Krong into Kartoss creatures. “You are able to spoil our plans in thirty seconds without moving from this spot?” The Master made for quite an interesting sight. He was almost laughing, but was just able to restrain himself in some unfathomable way. “All right! On behalf of Kartoss, I Master Naahti, agree to your conditions! If you manage to spoil our plans, the Kartoss Empire will be obliged to carry out any wish you may have. I repeat – any – which is within our power. Including having the Dark Lord sing you a lullaby. But it comes with a limitation – the wish must only be connected to yourself. No world peace, end to all hatred or other social foolishness. But if you fail, you will work as a servant in the Lord’s fortress. You will be teleported to our capital and end up serving food. To everyone! For a year, without any increase in levels or reputation! Agreed?” the grinning Master was looking down on me, convinced that he had presented me with conditions that couldn’t be met. NPCs have become rather naive these days. “Agreed,” I was, of course, taking a great risk, but my intuition, may it be damned, told me that the plan should work. Danny brings the herd back, and the village is appropriately grateful. He goes to talk to Elizabeth and asks her if she was a high priestess of Eluna, the head of Team Shiny’s pantheon in this continent, if not all of Barliona. Danny suspects she has some strong connection with the church because when he prevented Elizabeth from completing her ritual the night before, his reputation with Eluna plummeted. Elizabeth denies any association with the church, claiming it must’ve been some other Eluna priestess. “Before meeting you Shaman Mahan never met Priestesses of Eluna. As the Emperor is my witness,” I called Barliona’s most dangerous arbiter as a witness. A cloud of light immediately formed around me and quickly dissipated, leaving me unharmed. Calling on the Emperor is the final argument in communications both with other players and NPCs. Only free citizens are able to call upon the Emperor, at least those not sporting a red headband. This would have come in really useful at the mine, especially when Bat set me up that first time by taking my Rat Skins. When a player calls upon the Emperor, a special Imitator is activated. It analyses the words of the summons, looks up the game logs, checks the truth or falsehood of the words and then surrounds the player either by a light dome, showing that he was right, or by a dark one, which comes with a three-month debuff of -50% to all stats. Moreover, the owner of the dark dome gets a special ‘bonus’: -10% to levels. That seems like the kind of thing that would drastically alter how people interact with the world. There doesn’t seem to be any penalty, so you can invoke this oath in order to determine the truth or falsehood of anything at any time. Demanding an oath is an instant and near foolproof lie detector. And it seems like it’s being hastily retconned in just for this one scene, especially since it’s disabled for red headband players for no apparent reason. Why make it so that specifically criminals have plausible deniability as to whether or not they’re telling the truth? With the Lie Detector of Sudden Convenience on his side, Danny convinces Elizabeth to share her story: She heard word of a brewing plot by Kartoss to take over Malabar, and she tried to tell people. No one would listen to her, so she went over the heralds and advisers heads and went straight to the Emperor, who then banished her to Beatwick for scaremongering. Danny got a Get Out Of Jail Free card from a herald during one of his various run-ins with them, which can be redeemed to retroactively make someone having been working for the Emperor, which would clear Elizabeth of all charges on account of having been secretly acting on the Emperor’s orders. Something that Danny can make true with an item. So far as MMO logic goes, that’s not too horrible a stretch, but it is kind of weird. In any case, Danny declines to hand the Get Out Of Jail Free card over just yet. After getting back onto good terms with Elizabeth, Danny finally looks up his totem’s stats. It’s mostly pretty normal stuff, except that for some reason Draco has six different “acceleration coefficients.” A (non-lethal) duel with Draco reveals what this means: Dragons know the Kaioken technique. They can drastically increase their power up to six times (and the power boost accelerates, so they’re more than an order of magnitude stronger with all six going at once), but there’s a long cooldown on the power boost, with each successive stage of the boost having a longer cooldown than the last, so you can use Kaioken x2 a relatively frequent once per hour, but Kaioken x3 is on a two-hour cooldown. Looking forward to seeing what happens when a dragon goes super saiyan. In Petals and Thorns, I have a knights and priests faction that’s all about law and order, a carnival-themed faction called “the Lunatic Court” who believe in independence, a rangers and druids faction that wants to preserve the peace between the factions instead of going to war, and a vampires faction that’s purely self-interested. Given this, I wouldn’t be surprised if some people eventually started using that adventure or setting in general as an example of how to do alignment well, provided my whole endeavor doesn’t collapse and fade into obscurity before my reach ever expands past a couple hundred readers. Setting aside the pessimistic scenario for now, I want to head off the whole “how to do alignment well” argument off at the pass as much as possible by getting it on record in advance that I don’t think D&D’s 3×3 alignment grid is particularly good for anything but memes. People like to make excuses for alignment, but the fact is everything the existing system does could be done better by another. Let’s start by looking at the two main factions of Petals and Thorns, that being the Lunatic Court and the Order of the Lion (the knights and priests faction). 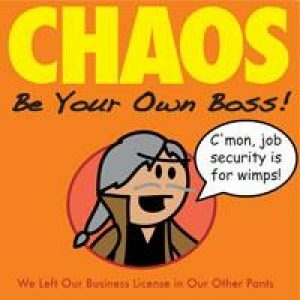 I anticipate some people will view this as a “Law vs. Chaos” conflict. These people are going to be disappointed by the sequel I’m writing. The Lunatic Court’s disorganized nature is not tied to their ideology of independence and self-governance at all. The Lunatic Court is disorganized because they’re war orphans who grew into criminals who grew into a guerilla army, and their leadership is still mostly making it up as they go along. They have no established traditions not out of opposition to the very concept but because they’re the first generation of their organization and there are no preceding leaders to draw traditions from. Their leader’s title is the Lunatic Queen, and while that was bestowed upon her from below rather than being self-appointed, it signifies that the Lunatic Court is perfectly happy to take orders from an absolute ruler. Indeed, a major point of the sequel is that Harlequin has extensive control over a large group of violent people and no clear precedent for what the rules are for staying in her faction’s good graces. She can establish whatever traditions and laws she wants (modulo the political maneuvering of intra-faction rivals), and if the party puts in the effort to win her trust, they can have significant input into that. Sure, the Lunatic Court’s current situation is chaotic, but that’s not because they’re opposed to order, it’s because they’re bad at imposing order. It’s a weakness, not a principle, of their faction. ‘Borhg, sledgehammering damnation, where are you going? !’ a stocky, practically square dwarf, his eyebrows in a frown, watched Borhg going down into the depths of the Black Maw chasm. It’s not a bad decision or anything, just something that felt notable to me. In the many centuries of his people’s history no-one had yet succeeded in descending below the level of darkness. To the place where the thrown torches could not drive back the black and show what the gloomy haze concealed. The daredevils who went below this fateful threshold never returned. Those who went down on a rope were lifted back up with eyes full of terror. Dead eyes. And now another young fool had decided to explore the secret of the chasm – without a rope, trusting only in the strength of his hands and the innate agility of the undermountain people. Why? This Black Maw thing kills everyone who goes inside, and if it ever spews anything dangerous back out, it hasn’t been mentioned. And who would laugh at someone for declining to enter the darkness that kills every single person who enters? The dead explorers who went before? What kind of idiot calls someone a coward over something they are themselves unwilling to risk?